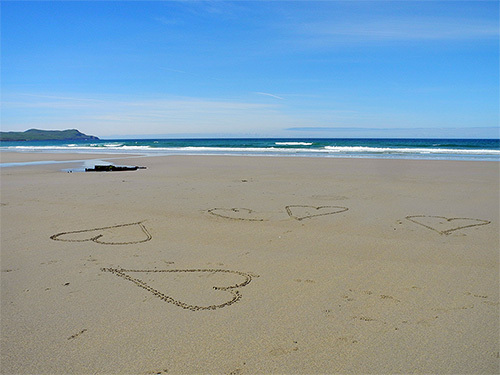 This was in June this year on the beach in Machir Bay. Mixed feelings as later that morning I had the leg injury which pretty much ruined that holiday. Still, overall it's still true, I've lost my heart to Machir Bay. That's all I've got for tonight. I'm going to enjoy my slightly naughty combination now before retiring to bed. Good night and have a great weekend!